I was the first up at dawn, made myself some coffee, and then tried to photograph the sunrise. But I was foiled by condensation. We had run the air-conditioning hard all night and the humidity outside was 90 percent so the entire boat was coated with condensation. Stepping outside my camera was instantly covered with dew so I gave up on that plan. 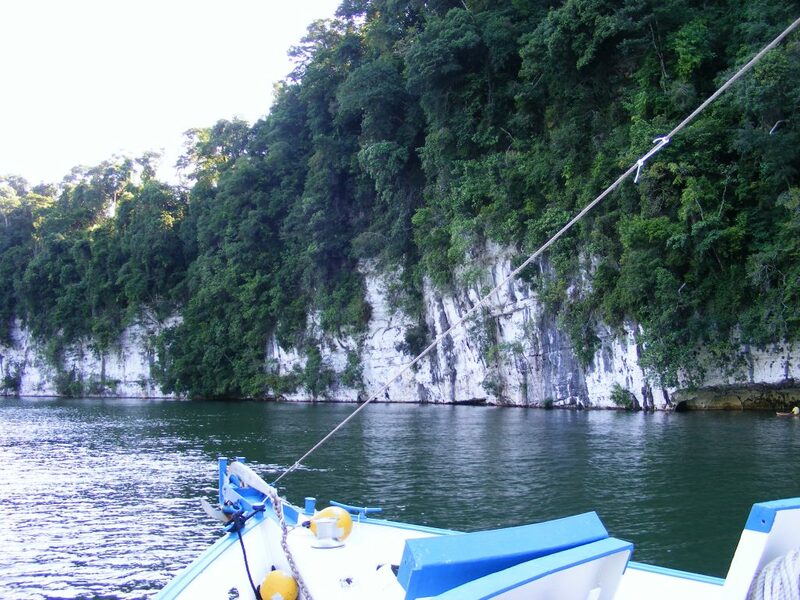 Then we raised anchor and started off from Great Monkey Cay en route to Guatemala. We threaded our way carefully amongst the various cays and had one traffic conflict with a catamaran that kept crossing and re-crossing our bow quite closely while I was on watch. I could not figure out what they were up to so I called Bert up to the bridge. He assessed the situation and blew the air horn at them which caused them to assume a proper course while we passed them. We concluded that they were intoxicated. Bahia Amatique. Click to view larger. 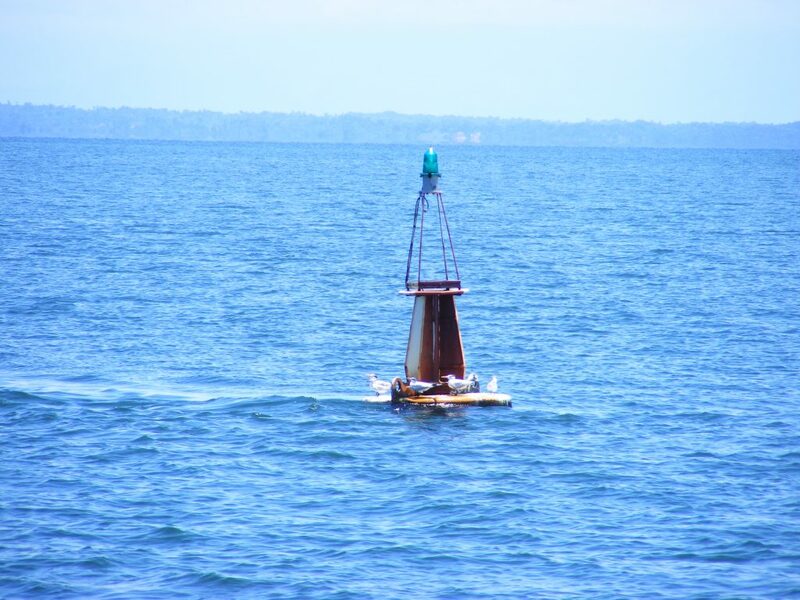 Livingston Buoy. Click to view larger. 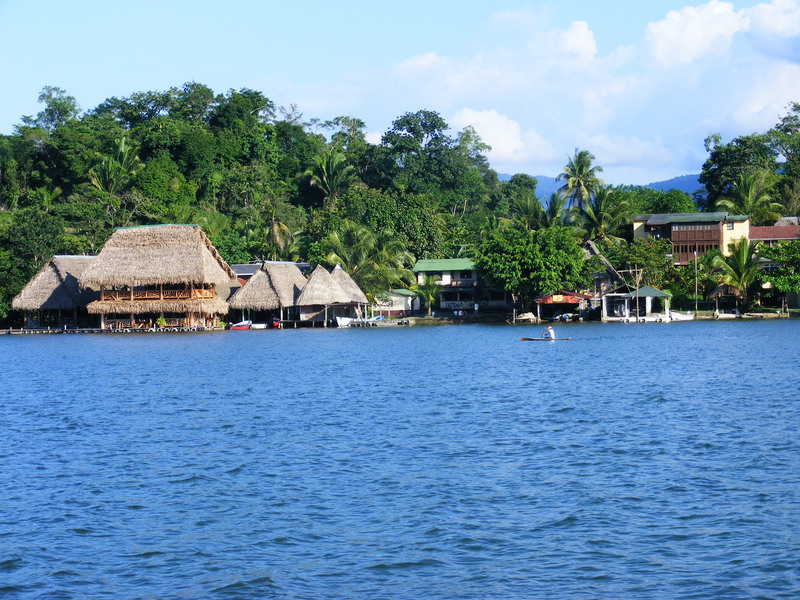 Livingston, Guatemala. Click to view larger. 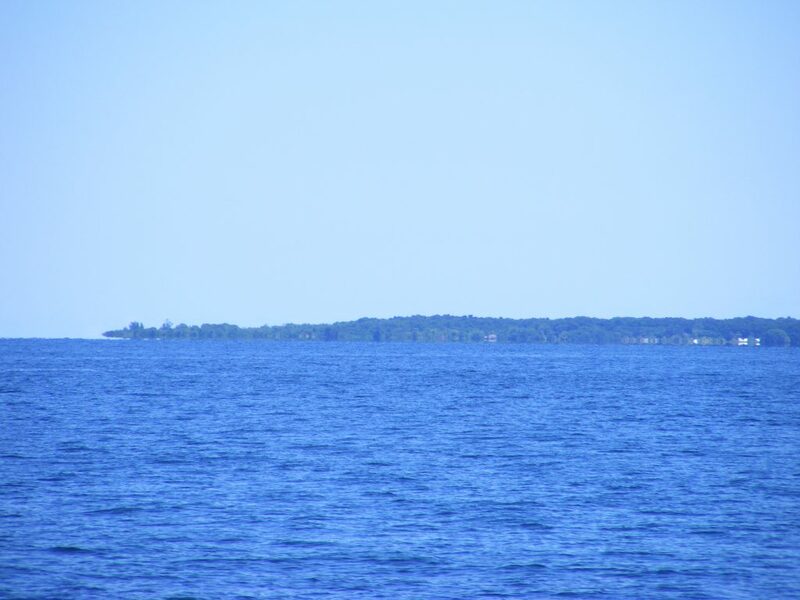 Once free of the twisty passages between the cays we assumed a straight course for the Livingston sea buoy. We straightened up the boat a bit in preparation for the Guatemalan officials to come aboard, inspect the boat, handle immigration, and so forth. I had the watch during the final hour while Bert rested and enjoyed watching the coast of my destination grow closer and closer. We passed the sea buoy at 12:00 noon exactly, crossed the bar without incident, and anchored a little past the municipal dock amongs the fishing vessels anchored in the river’s current. 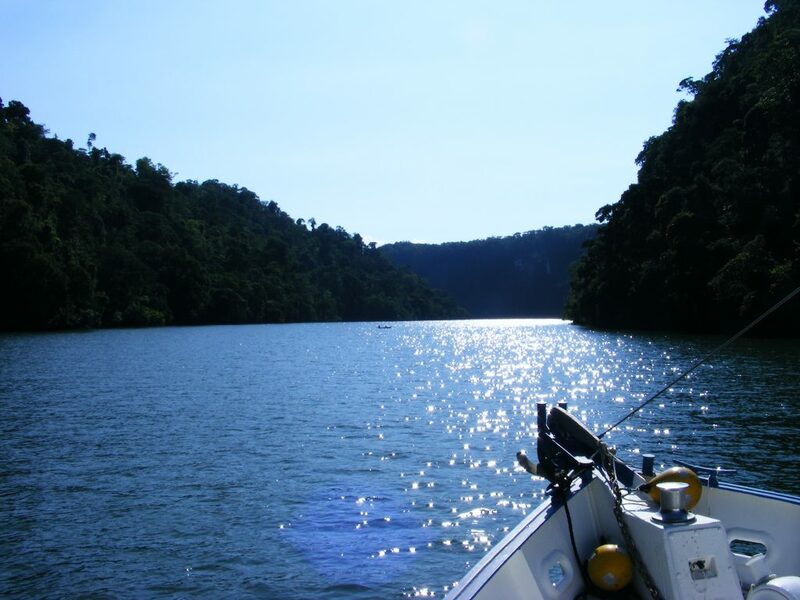 We were finally on the Rio Dulce. Hurray! Migracion at Livingston. Click to view larger. 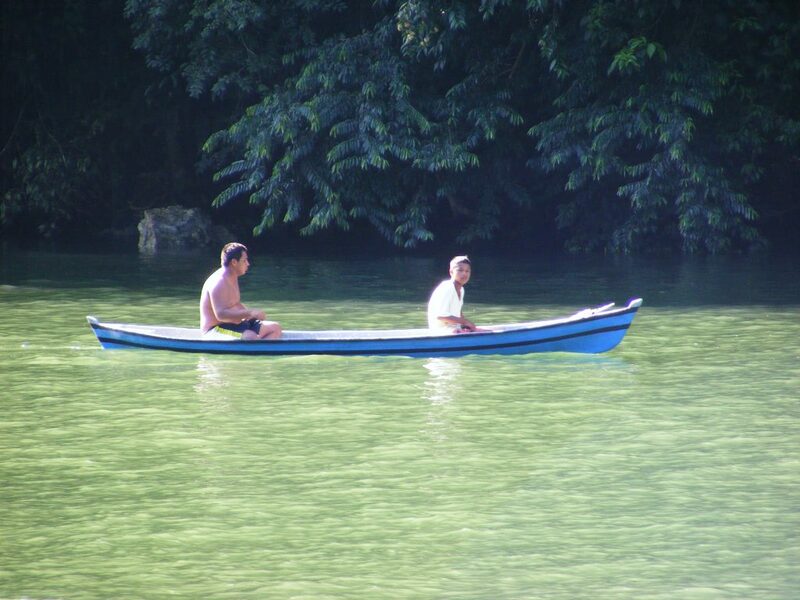 Starting up the Rio Dulce River, Guatemala. Click to view larger. 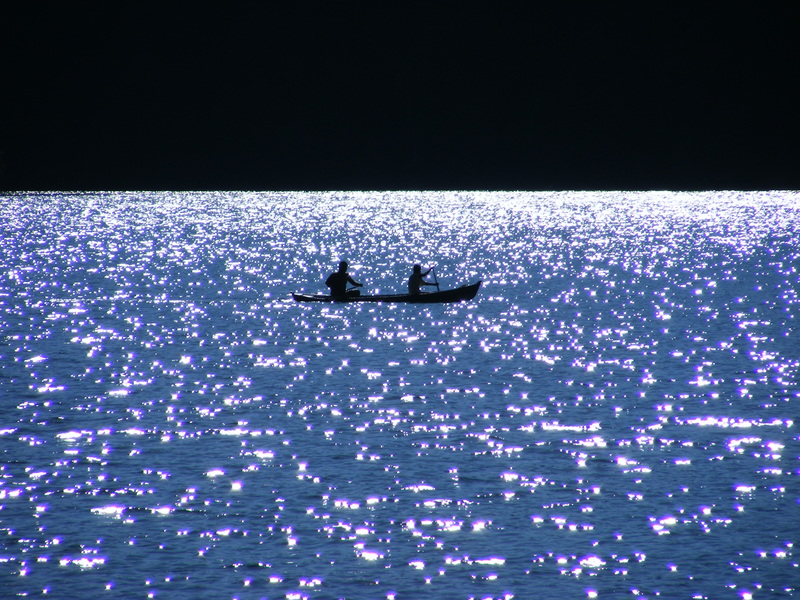 Canoe on the Rio Dulce. Click to view larger. 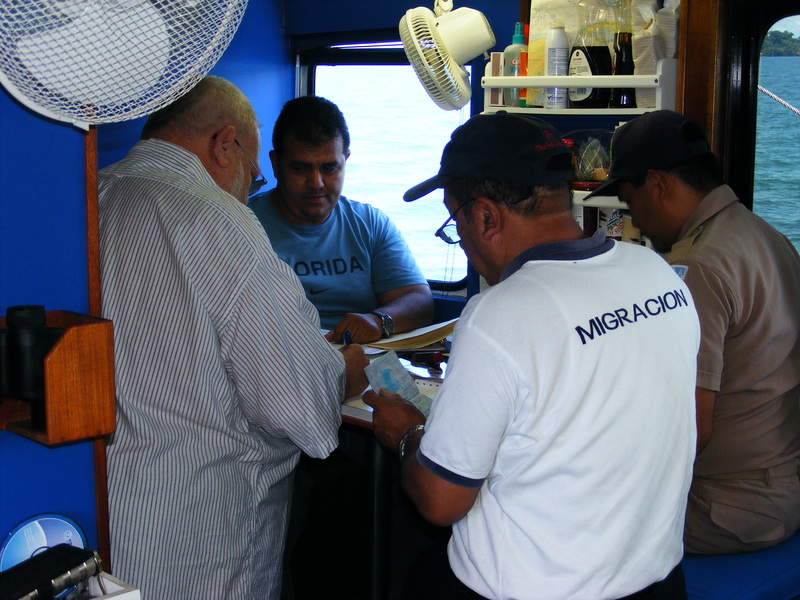 Bert called the officials and before long Raoul, immigration, customs, and a doctor came aboard, did the paperwork, collected our passports, and went ashore to complete the process. While we were waiting Bert prepared a lunch of soup and salad. About an hour later Raoul returned with the passports and paperwork, and we were properly checked into Guatemala. I took down the Q flag and replaced it with a Guatemalan flag and looked ahead to the trip upriver, just like I had done 12 years before in 1996. I hoped that the lighting would be good for photography. 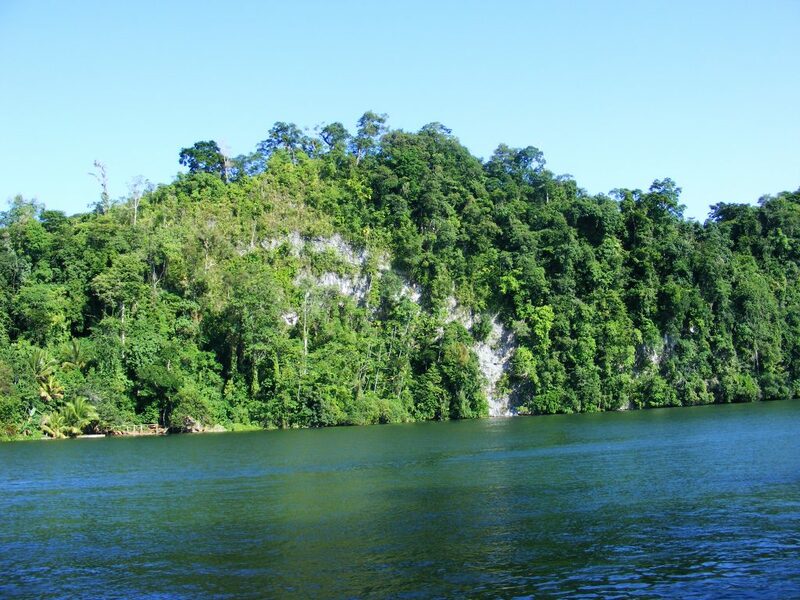 Limestone cliffs along the Rio Dulce. Click to view larger. 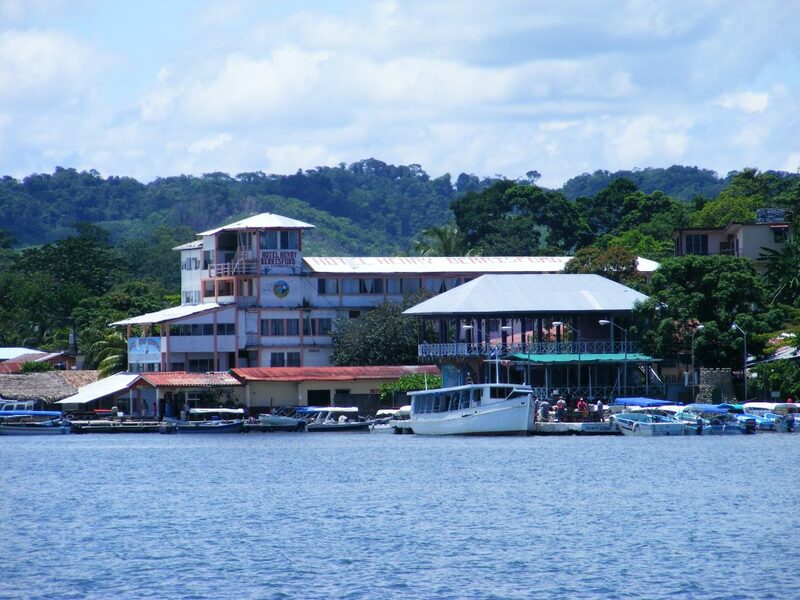 Along the Rio Dulce. Click to view larger. Bert rigged the signalling cannon on the bulwark and we headed off upriver with me furiously shooting photos and video clips. The canyon was as beautiful as I had remembered it. It was mid-afternoon so the lighting was quite good for pictures. 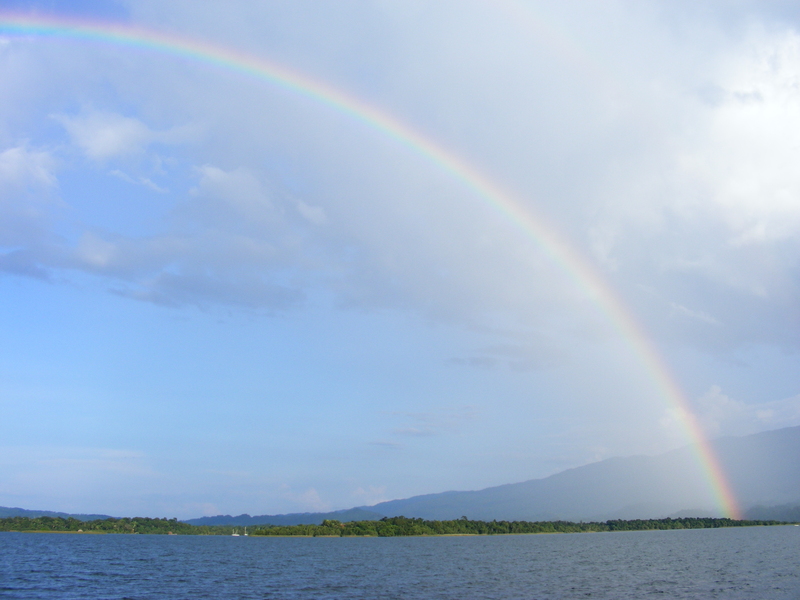 When we reached the Golfete we were treated to a full 180 degree rainbow. I hoped it was a good omen. Perhaps the rio was welcoming me back home. One heavy rainshower formed on our port beam and Bert turned the boat to bring us into the shower and wash the salt off the boat. We made a couple of revolutions in the heavy rain then continued on upriver towards Fronteras. 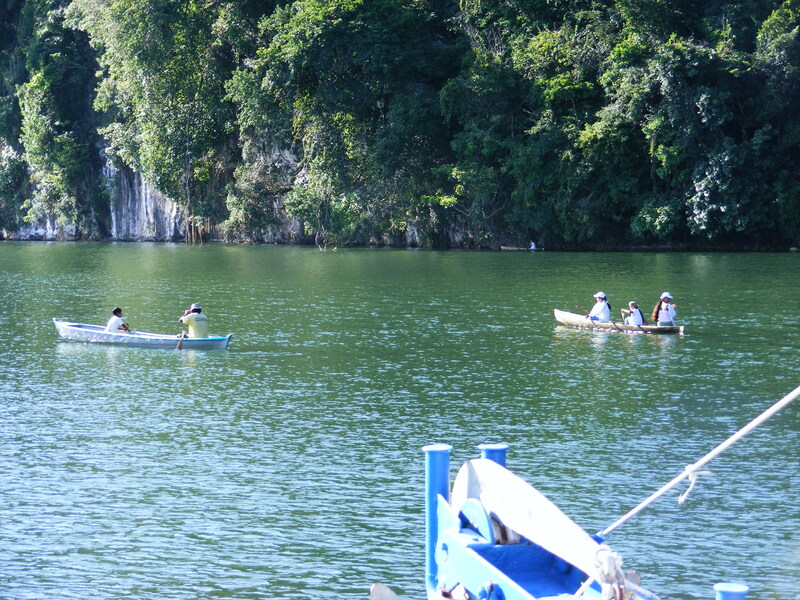 Canoes along the Canyon of the Rio Dulce. Click to view larger. Settlement at the east end of El Golfete. Click to view larger. 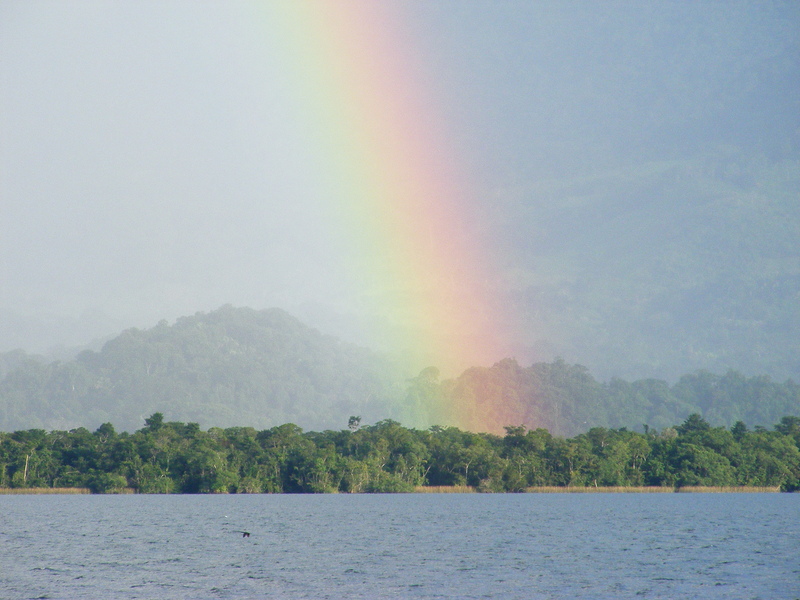 Rainbow on El Golfete. Click to view larger. 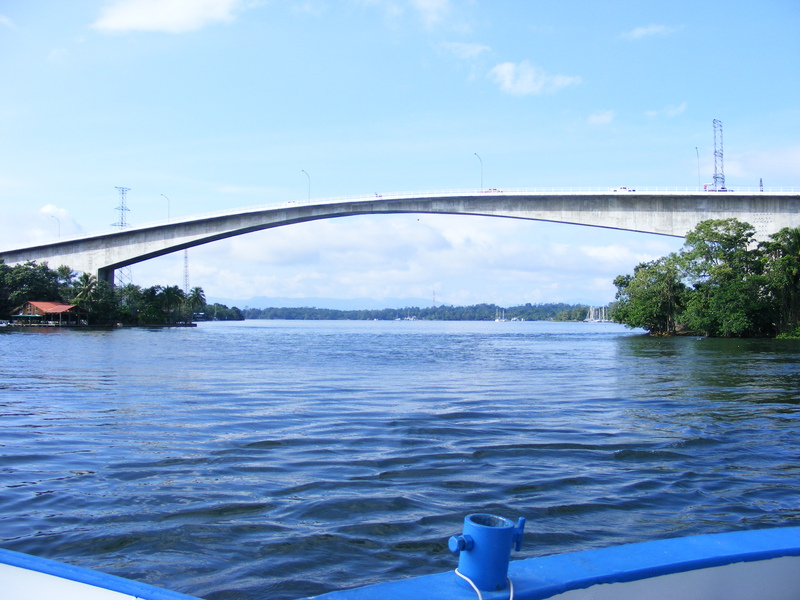 We arrived in the bay at Fronteras after dark, circled once to locate a spot to anchor and dropped anchor in front of Bruno’s at 7:24 P.M.
Bridge of the Rio Dulce at Fronteras. Click to view larger. 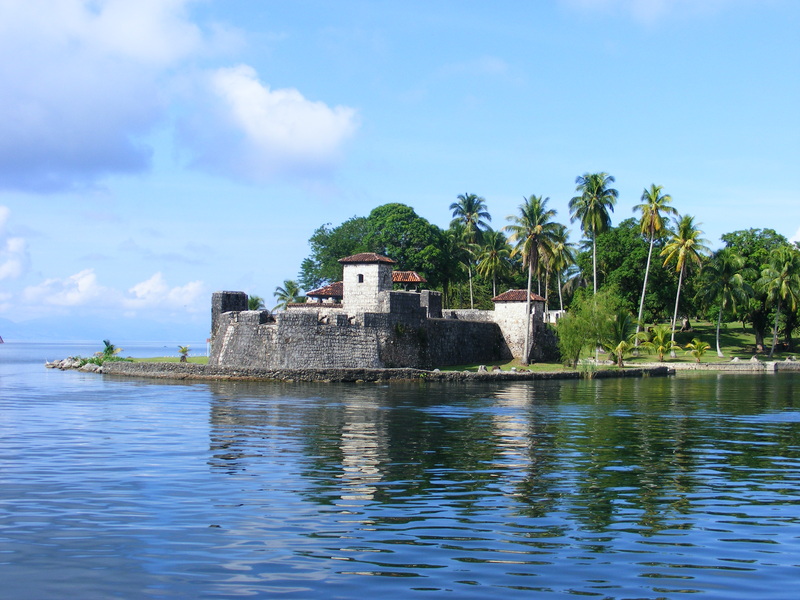 El Castillo. Click to view larger.